This post had me laughing, lol I know the struggle. What I do is I wash then when I apply the conditioner and twist. I usually end up with 15 twists (maybe less depending on how lazy I feel). I then rinse the conditioner out with my hair twisted. That way my hair stays a bit stretched and it’s detangled. You are a lifesaver! Thank you, I will try this out and probably document the result. 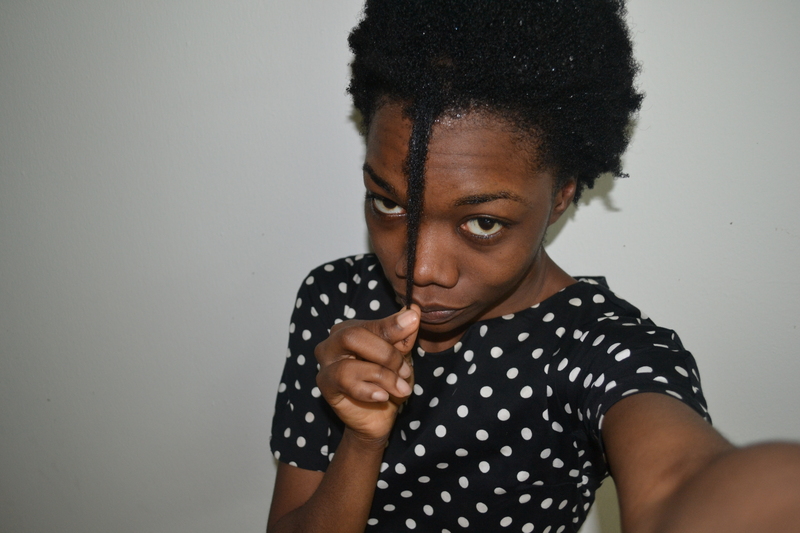 Yes I ALWAYS wash and deep condition my hair in sections ( 6 twists or so). And i rinse them out section by section or else they become a tangled mess and I try to avoid too much hair manipulation/combing. For shrinkage: Section your hair in big braids preferably as twist don’t have that stretching power as braids do. I’ll say avoid using blowdryers if you can. Just let your hair air dry in big braids OR blow dry until like 70% dry and let the res air dry. Another way is by banding (you can youtube that) – wrapping your sections in hair ties. For moisture: Have you tried using vegetable glycerin mixed with water? I say start with 4 parts water to 1 part glycerine and spritz maybe once a week in addition to your normal moisturizing regimen.